Sistah Iminah is a Singer/Songwriter, Dancer & Educator hailing from Oakland, CA with roots in 🇳🇬Nigeria,🇯🇲Jamaica, Texas, and beyond. With her unique brand of ” born-Again African Soul”, Sistah Iminah’s goal is to inspire the original greatness of Africa to rise again. Her Rastafarian parents raised her with a strong pan African consciousness, though they technically would be classified as Black Americans. Sistah Iminah’s musical message reflects the duality of being raised immersed in African culture, while surrounded by the stark reality of ghetto culture in Oakland and Atlanta. This mix eventually led down a road of self destruction and crisis. After experiencing, surviving and overcoming a life that brought a barrage of hellish and near-death experiences, Iminah embarked on an intensive, comprehensive & effective journey she’s dubbed ‘From Ghetto to Goddess’. Though as a youth she resented her family’s choice to reconnect with Africa, as a young adult she works to reconnect with Africa in every way possible. Co-leading the Oakland Unified School District’s African American Female Excellence Initiative, which is the first of it’s kind in the nation. Continuously representing African culture at concerts, festivals, events and institutions worldwide. 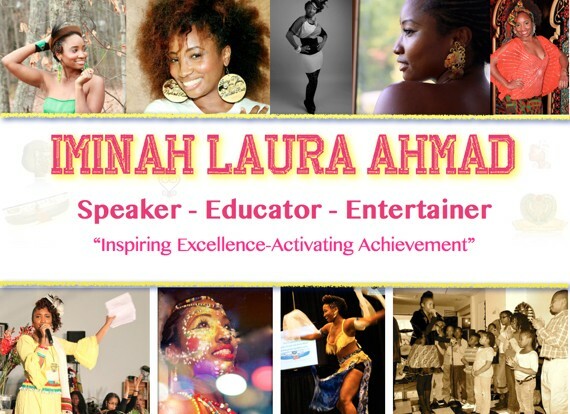 Connect with Iminah on Facebook!